Many people get a traffic ticket from time to time. In fact, up to 50 million traffic tickets are issued every year in the U.S., and this does not include parking violations. Luckily, it is easy to quickly and securely pay a traffic ticket online in most areas. Traffic tickets are issued by local jurisdictions, such as county courthouses. In some locations, the Highway Patrol or a Sheriff's office may issue the ticket. Look on the citation for information about where and how to pay the ticket online, by mail, or in person, and always pay or challenge the ticket before the due date stated on the citation. Paying a traffic ticket online is now easy in many areas. If you have lost the citation, just do an Internet search for the county where the violation occurred and the search term “pay traffic ticket online” and look for information on how to pay at the appropriate local government website. When you pay a traffic ticket online, you’ll need the citation number, case number, or your driver’s license number. If you have lost the original citation, enter your driver’s license number, and any citations issued to you should become available on the screen. Some states, such as California, have free, public, statewide databases of traffic violations. You can then easily pay outstanding tickets online using a credit card or bank card. If the ticket was issued in another state, you usually could still pay it online. You must pay traffic tickets, even if they were issued in another county or state from where you live. Traffic tickets are issued to drivers for legal violations called infractions, which usually do not require an in-person court appearance or hold the possibility of a jail sentence. Infractions are one step less serious than a misdemeanor charge. When you get a traffic ticket, a police officer writes out a citation listing the violations you are charged with. If there is more than one violation, each one is listed separately. The citation also contains essential information on where to pay the fine and by what date. 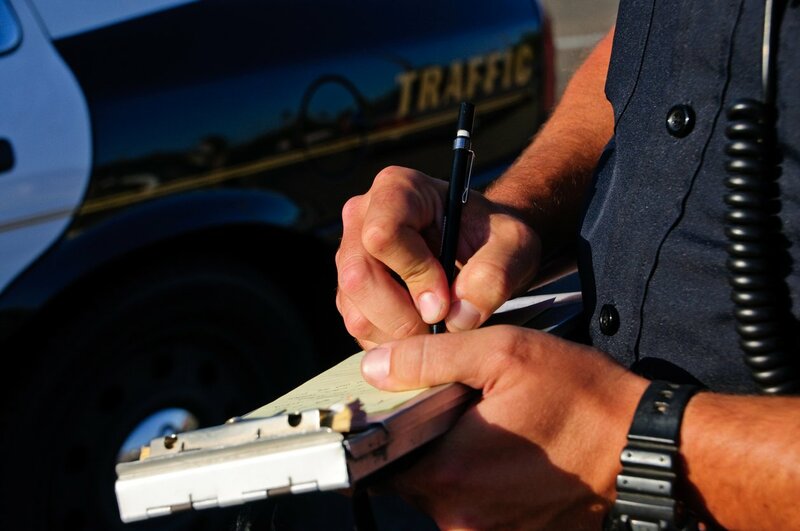 Many jurisdictions send a courtesy notice to people who have received a traffic ticket, reminding them to pay the fine or appear in court to contest the charge. However, these notices are not always sent or received, and you are still responsible for paying or contesting the ticket by the due date, even if you do not receive a notice in the mail. If you do not pay your ticket on time or to appear in court on the date stated on the ticket, you risk further fines, negative points on your driving record, increased insurance rates, and possible misdemeanor charges. It pays to pay or challenge traffic tickets on time.